Mr. Trucker focused on employee benefits law for over 30 years. He often wrote articles and delivered speeches for some of the most prestigious employee benefit organizations, including the International Foundation of Employee Benefit Plans, the Western Pension & Benefits Council and the Practicing Law Institute. Lee was a guest lecturer on employee benefits at Hastings College of the Law and made a number of presentations for the State Bar of California and other organizations. Lee authored numerous articles including editing a Panel Publication book on ERISA and Employee Benefits. His experience in employee benefits is wide-ranging and included plan design and preparation, tax planning and consultation on ERISA matters for venture capital entities. Because of his experience and reputation, he was retained as legal consultant to other law firms and employee benefit organizations throughout the State of California. 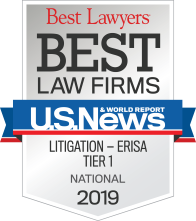 Lee is a Charter Fellow of the American College of Employee Benefits Counsel, and was listed in Best Lawyers in America for 19 years in Employee Benefits (ERISA) Law and Tax Law. 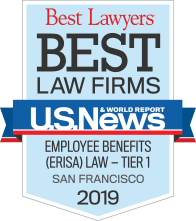 Lee was honored by the San Francisco Recorder as the Bay Area’s “go-to” lawyer for Employee Benefits, and was named one of Northern California’s “Super Lawyers” by Law & Politics magazine 13+ years.